Polypropylene bags are compatible with a broad range of corrosive fluids including organic solvents, oils, acids, alkalis and microorganisms. The Pentek BP-410-25 bag filter can withstand temperatures up to 200F (93.3C). 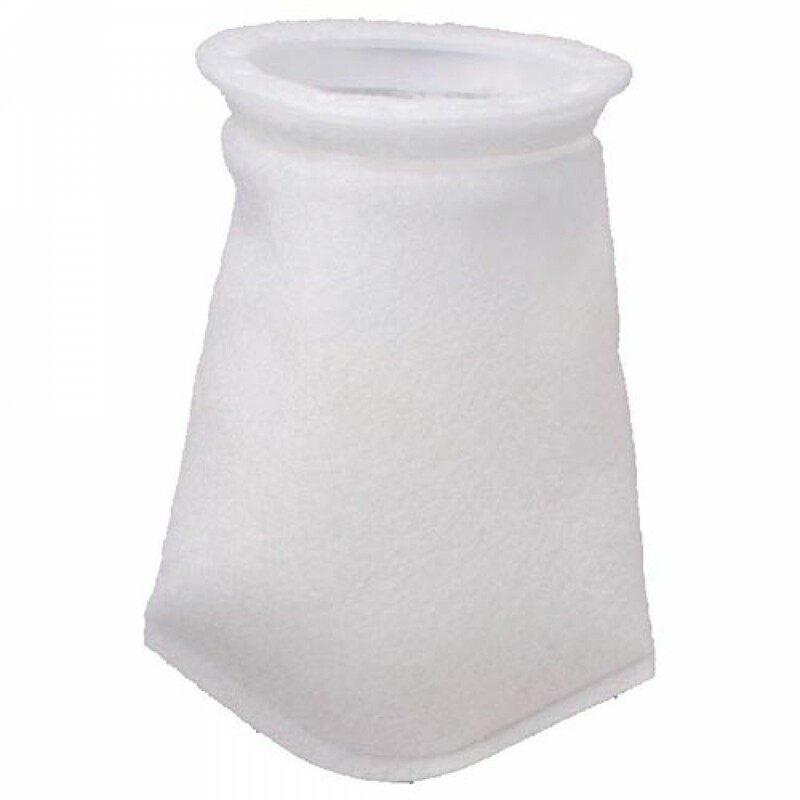 The Pentek BP-410-25 filter bags are manufactured from felt because of its high solids loading capabilities, in comparison to similar mesh fabrics. The Pentek BP-410-25 filter media is created by needle-punching two layers of synthetic fibers together in a supporting scrim. A glazed finish, created by melting the outermost surface fibers, is used to produce a bond that reduces the possibility of migration. The Pentek BP-410-25 filter bag's thermally welded unique design results in consistent filtration efficiencies. 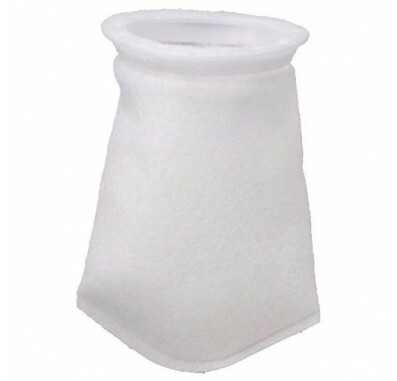 The Pentek BP-410-25 filter bag is a 25 micron glazed polypropylene felt bag filter. The Pentek BP-410-25 155389-03 bag filter fits in bag filter housing assemblies for 4" W x 8-5/8" L bag filters. Use the Pentek PBH-410-1 1" Inlet/Outlet Bag Filter Vessel Water Filter System. Use the Pentek PBH-410-1.5 1.5" Inlet/Outlet Bag Filter Vessel Water Filter System.